ADA compliant. Interior unit w/ north views toward Park Ave. Patio door in the bedroom and living area. Brand New Condo w/ super low HOAs only $181 per month. Elevator and access off the garage. Near the west entrance to Rocky Mountain National Park. 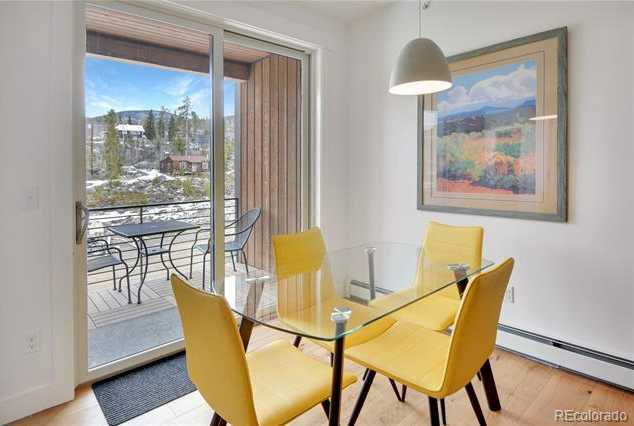 Open and cheery condo In the heart of Grand Lake. Stone’s throw to the lake where you can enjoy one of many activities such as boating, fishing, kayaking or paddle boarding. Off the water enjoy miles, and miles of trails for hiking, biking, snowmobiling, cross-country skiing and of course ice fishing. Grand Lake is becoming a four-season destination with lots of winter activities. Walk to restaurants, the theater, and shops.See the proforma in the Doc Sec or ask your realtor for a copy.